The Marshal’s Two Executions is a short film imagined by Radu Jude and co-composed with his editor, Catalin Cristutiu. 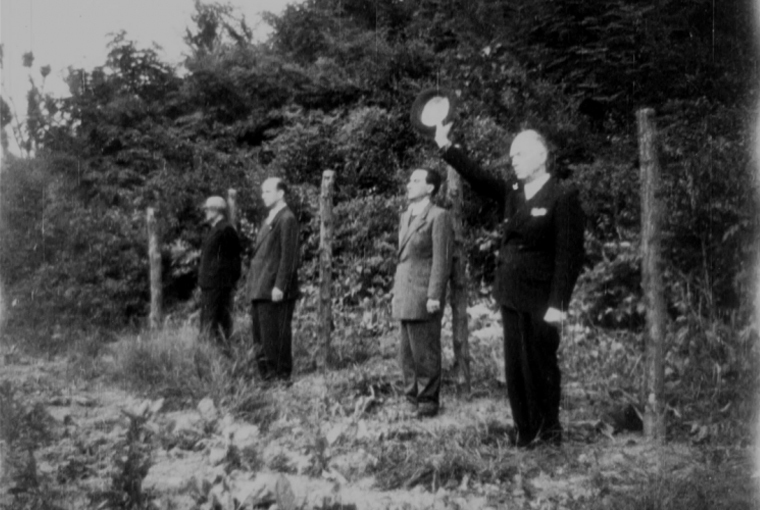 The 10-minute long documentary contains no original footage, but rather compares original rushes of the execution of four leading collaborationist politicians from Romania with a fictional remake of the same scene. The politicians executed by firing squad include former Romanian dictator Marshal Ion Antonescu as well as Mihai Antonescu, Gheorghe Alexianu and General Picky Vasiliu. 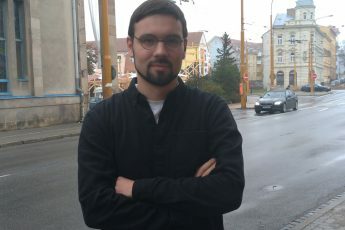 During a masterclass at the Jihlava International Film Festival 2018, where the film screened in the Short Joy section, Jude explained the process of making the film. Liberally inspired by Eisenstein’s theory and technique, Jude talked about how comparing two film reels can bring more to light than the creation of new footage. Eisenstein, for whom art’s task is “to form equitable views by stirring up contradictions within the spectator’s mind”,1 used montage to create a wealth of meaning about the very nature of the Russian Revolution. During the masterclass, Jude showed clips from his last film The Dead Nation, letting the audience watch different visual versions of the same content. Though The Marshal’s Two Executions will face limited distribution, it is a treasure for editors throughout the world as it shows us that classical montage techniques can still be used today, and that they are just as powerful in bringing light to history as they were in the 1920s. On the 1st of June 1946, Antonescu and three other Nazi collaborators were led to their execution after being tried for war crimes. Lined up against wooden posts, the four men were then shot. This event was captured by young cameraman Ovidiu Gologanl. The silent black-and-white images are a testimony of the events as they really happened. The frightening intensity of this footage makes time seem to slow down, the picture gritty as the quartet march solemnly toward their death. 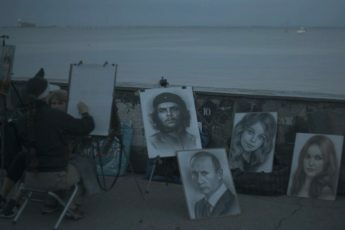 The close-ups made by Golognl after the executions have a striking artistic quality to them. He captures the four men’s disembodied heads lolling back into the foliage, their eyes rolling back in their heads in a surreal return to nature. Then we watch their bodies as they curl helplessly into themselves, the inevitable casualties of death itself. In sharp contrast to this are the scenes from The Mirror, which Jude has carefully interwoven with those of the original footage to reveal their not-so-subtle differences. The Mirror is a fictional biopic of Antonescu, created by filmmaker Sergiu Nicolaescu in 1994. The director filmed a re-creation of the scene of the execution to make it seem as similar to the original event as possible. But while Gologanl’s version is a student exercise and historical document, Nicolaescu’s is ham-acted, repetitive and trite. The comparison highlights the staginess of the latter, with its sorrowful pop music and syrupy colors. While in reality, toward the beginning of the shoot the Marshal muttered something seemingly incoherent out of the corner of his mouth, the propaganda version had him refusing his last rites from the priest. He states boldly “Forgive me father, I do not deserve the holy communion. They must forgive me, as they die because of me”. Upon researching the film’s reception, it had seemed to me that this whitewashing of history was widely criticized and seen as rather obvious propaganda in Romania. However, I happened to come across the Youtube version of Golognal’s film, which appears under the neutral title “execution Marshal Ion Antonescu”. It has more than 1200 comments. One of the latest comment reads “he gave his last farewell to Romania with the hat in his hand […] Probably the most dignified death in Romanian history…”. The comment has more than 90 “likes” by people who purport to give their approval to the comment. Another recent comment is a pro-Antonescu quote modified from Antonescu’s own words. It has collected 28 likes. A third one reads “the only good nazi is a dead one, I can watch this video all day,” and has gained 25 likes so far.2 This inevitably led me to reconsider the assumption I had made about the reception of Nicolaescu’s film. The first two reflecting a denialism that clearly enrages Jude; the third revealing an attitude which promotes the idea of an evil restricted to a certain bygone era, safely tucked away in a time when films were still black-and-white. The title card that comes up at the beginning of Radu’s composition (“The Marshal’s two executions – a comparison”) appears to be that of a training video – something students might have to watch in school. It highlights the seriousness with which Jude has taken on the role of educator about the way history has been misconstrued. His approaches to the question of Romania as a Nazi ally and its involvement in WWII war crimes have varied from fictional to documentary and now experimental. This short was obviously intended as a filmic experiment – perhaps it was made while doing research for another documentary. But it stands out for its stunningly selected and contrasting scenes, picked out with the eye of a master. Sergei Eisenstein. “A Dialectic Approach to Film Form”. Essay from “Film Form”; 1949, New York. All three comments were published in English. See https://www.youtube.com/watch?v=tuOsecaN9lE [contains graphic footage – discretion advised]. Accessed on January 23rd 2019. How can I watch The Marshal’s Two Executions? Please refer to video-on-demand (VOD) sites. For example it seems that DAFILMS are planning to include the film: https://dafilms.com/film/10532-the-marshal-s-two-executions So why don’t you check there again.